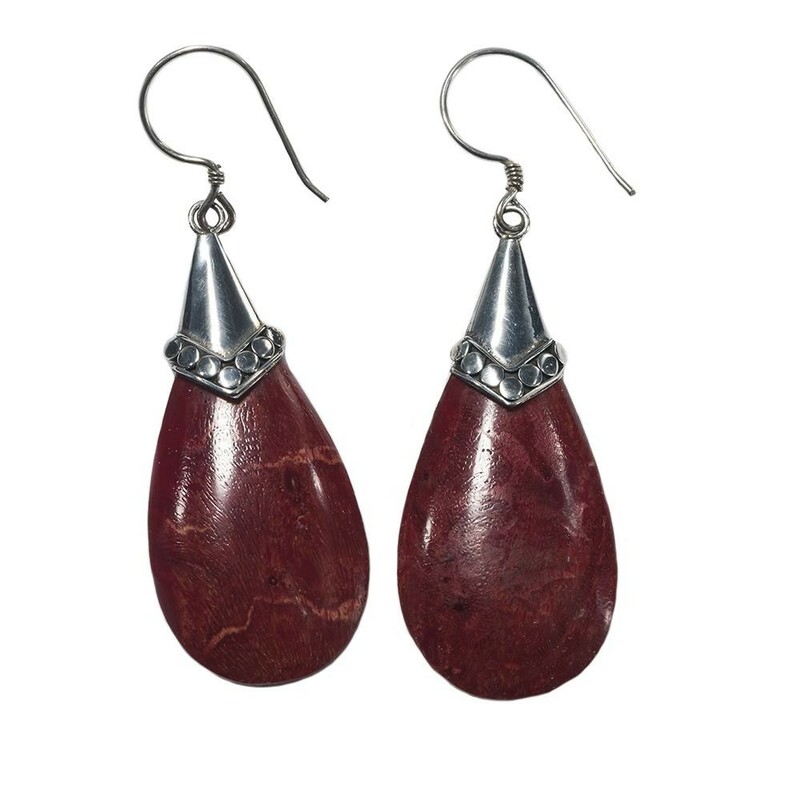 These stunning Red Coral Teardrop Earrings suspended from .925 silver ear wire feature an eye-catching teardrop design made from the genuine ... Read more. These stunning Red Coral Teardrop Earrings suspended from .925 silver ear wire feature an eye-catching teardrop design made from the genuine Red Coral gemstone. These unique handcrafted set of earrings will compliment any style and enhance your beauty. The earring measure approximately 2.008 inches long and come with French ear wire hooks to help secure them in place effectively.